In recent years, the use of dashcams have increased dramatically as they offer so many advantages to both ordinary motorists as well as those offering driving tuition. 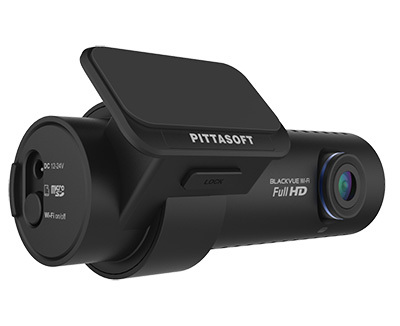 With dashcams starting from as little as £25, there is no need for a large financial investment. For the ordinary motorist dashcams will help by offering first hand evidence of any car accidents. This is the primary reason most motorists choose to purchase a dashcam. Added with this, a number of insurance companies are now offering discounts for drivers who use a dashcam. Some insurers are offering as high as 12.5%, which on average is a saving of £54 per policy. Insurance fraud is becoming one of the most common problems facing vehicles and traffic on our roads today. This is not only a problem for insurance companies but also affects the honest drivers. It is the dishonest drivers who purposely cause car accidents in order to extort money from the victims and fake injuries to receive money from their own insurance companies. With a dashcam fitted you could prevent these incidents from happening as the event would be recorded and would stop the scammers from being able to extort money from you. Implementing the use of dashcams during a driving lesson can offer a whole host of advantages to both the student who is learning and also the instructor. A driving instructor can pull over and with a video recording, visually explain where the student has gone wrong. Driving schools can create a reference library that students could view either online in their own time or during a lesson to explain situations clearly. This method will greatly enhance a student's learning ability. The number of videos now being uploaded to social media sites with the aim of shaming drivers who drive dangerously has increased over the past year. As this becomes more and more of a regular thing, we can only hope that drivers will begin to drive more sensibly as there could be a good chance that they are being recorded. Recordings of accidents and road rage can be invaluable to the police who can use these to help with their investigations and to convict the guilty party. So we can see there are a number of reasons why owning a dashcam would be beneficial. Not only can they offer us a way to protect ourselves from those who would wish to take advantage of situations and extort money from us, but they can also help driving instructors and students as a training aid. Overall the financial outlay for a dashcam would well be worth it.